Looking to purchase one of the many Bluffton/Off Plantation SC homes for sale that are currently on market? If the answer is YES, then you’ve definitely come to the right place. Scroll down the page and learn more about Bluffton/Off Plantation SC real estate options and lifestyle! A Lowcountry town in Beaufort County, South Carolina, Bluffton is predominately located around U.S. Route 278, between Hilton Head Island and Interstate 95. Included in the Hilton Head Island-Bluffton-Beaufort, SC Metropolitan Statistical Area, the zip code for Bluffton/off plantation SC real estate is 29910. Bluffton is the fifth largest municipality in South Carolina by land area, with a total area of 54 square miles, of which 52.2 square miles is land and 2.2 square miles is water. Nearby cities and towns to Bluffton include: Town of Hilton Head Island, City of Beaufort, Town of Port Royal, City of Hardeeville, Town of Ridgeland, City of Savannah, City of Tybee Island, City of Port Wentworth, City of Pooler, Town of Estill, Town of Hampton,and Town of Yemassee. Bluffton consists of five main areas which include: The historic district of Old Town, on the northern bluff of the May River; Palmetto Bluff, located on the southern side of the May River; Jones Estate, situated along the New River; Buckwalter, located on the northwest side of town; and Shultz Tract, north of Old Town. The May River winds through the center of town. 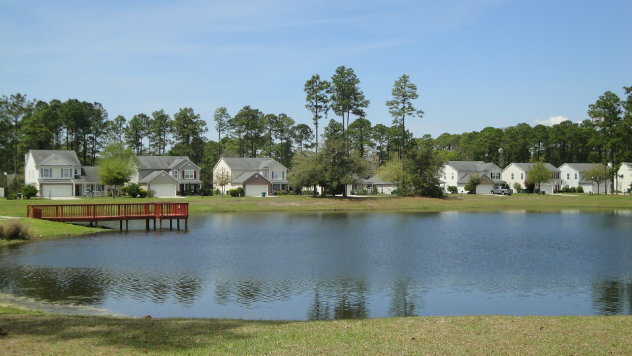 Generally speaking, Bluffton/offplantation SC homes for sale is a category of homes that are not located within a planned or gated community. Some of the advantages of purchasing off plantation homes can include lower overall purchase price, lower or no homeowners fees, and fewer deed restrictions just to name a few. Some of the best Bluffton SC waterfront properties and Bluffton SC luxury real estate can actually be found off plantation. Many residents find the off plantation lifestyle more relaxed then a planned community, as well as offering more real estate bang for less money. Neighborhoods or “legal addresses” for Bluffton off plantation include: Alston Park, Arborwood, Baileys Section, Bartons Run Crossing, Bartons Run Drive, Baynard Park, Baywood, Big Buck Island, Bluffton Heights, Bluffton Park, Bluffton Terrace, Bluffton Village, Bonnie Doon Plant, Bridgepointe Condominiums, Brighton Oaks, Brighton/palmetto Bch, Browns Bluff, Buck Island, Calhoun Street Promenade, Castle Point, Cedar Lake, Cherry Point, Eagles Pointe, Edgefield, Estill Beach, Fernlakes, Fording Island Road, Fording Island/buckingham.Foxchase Lane, Garvey Hall Plantation, Gascoigne Bluff, Grande Oaks, Harrison Island, Heritage at New Riverside, Heritage Lakes, Hidden Lakes, Huggins Lake, Hunting Island Plant, Island West, Jack Rowe Island, Johns Farm, May River Preserve/kenzie Park, Kidney Island, Kirk’s Bluff, Lake Linden, Lake Linden Garden Home Villas, Lawrence Tract, Lawton Station, Log Landing, Martins Place, May River Place, May River Plantation, May River Preserve/kenzie Park, Meadow Lake Plant, Meadowbrook, continued…. Midpoint, Midway Farms, Mill Creek at Cypress Ridge, Millbrook S/d, Mitchell Tract, Moss Oaks S/d, Myrtle Island, Nanny Creek, Okatie, Old Carolina, Palmetto Pointe, Palmetto Pointe Townes, Palmetto/ Brighton Beach, Parkside at Baynard Park, Paulie S Place, Pinckney Colony, Pine Forest Village, Pine Island, Pine Ridge, Pinecrest, Plantation Point, Pope Back Tract, Pritchard Farms, Pritchardville, Reeves Brothers, River Oaks, Rivers End, Riverview Terrace, Rose Dhu, Running W, Sandy Pointe, Sawmill Creek, Sawmill Forest, Seagrass Station, Shell Hall, Shultz Tract, South Pointe, Southern Oaks, Stock Farm Dev S/d, Swan Lake, The Colony at the Crescent, The Crescent, The Estate at Westbury, The Farm at Buckwalter, The Gatherings, The Haven at New Riverside, The Meadows at New Riverside, The Reserve at Woodbridge, The Townes at Buckwalter, The Traditions, The Villas at Old South, Thomas Lake, Town of Bluffton, University Park, Verdier View, Victoria Bluff, Village at Bluffton Park, Village at Verdier Plantation, Village Olde Town, Vista View, Wellstone at Bluffton, Westbury Park, Willows, Windtree, Windy Knoll, Windy Lakes/sugaree and Woodbridge. Not every Bluffton/Off Plantation SC real estate property for sale can be found on the Internet. Let our direct access to all the Bluffton and Bluffton off plantation listings help you locate your dream home in the most efficient way possible. REQUEST AUTO EMAILS OF BLUFFTON/OFF PLANTATION MLS PROPERTY LISTINGS TODAY! Discover Best Buy Homes!  Based on your basic housing parameters, Beaufort County and Bluffton/off plantation property listings will be sent direct to your email and will update daily! Owners of Bluffton/Off Plantation SC real estate and the surrounding Lowcountry features a balmy, subtropical climate year round. Bluffton gets 52 inches of rain per year and no snow. The number of days with any measurable precipitation is 104. On average, there are 217 sunny days per year with July highs around 89 degrees and January lows at 39 degrees. As of 2014, Bluffton’s population is 12,186. There are 238 people per square mile (population density). The median age is 34.2. 59.69% of people in Bluffton are married and 14.07% are divorced. The average household size is 2.7 people. 37.28% of people are married, with children and 12.97% have children, but are single. Strong school systems attract new residents and help their cities prosper. The quality of a school district is often a top factor for parents considering where to live. Families with school age children who buy Bluffton/Off Plantation SC real estate are part of the Beaufort County School District. Bluffton schools spend $14,647 per student. There are 11 students per teacher, 669 students per librarian, and 427 students per counselor. Local public schools in Bluffton include: Bluffton High School, H.E. McCracken Middle School, Bluffton Middle School, Bluffton Elementary School, M.C. Riley Elementary School, Pritchardville Elementary School, Red Cedar Elementary School and River Ridge Academy. Higher education is an important sector in Bluffton’s local economy, with institutions such as the University of South Carolina Beaufort Hilton Head Gateway Campus and Technical College of the Lowcountry nearby. The unemployment rate in Bluffton is 4.50%, with job growth of 5.23%. Future job growth over the next ten years is predicted to be 46.00%. Sales tax rate is 6.00%. Income tax is 7.00%. The income per capita is $28,903, which includes all adults and children. The median household income is $63,614. Bluffton has become a tourist destination in its own right with a large number of hotels, restaurants and shopping areas. The city is the headquarters for CareCore National, a provider of evidence-based healthcare solutions. The town is is also home to South Carolina’s last full-time oyster shucking business, Bluffton Oyster Co, which first opened in 1899. The Palmetto Breeze provides a variety of public transportation services. Click here for bus and service route information. The nearest major airport serving Bluffton/Off plantation SC homes for sale is Hilton Head Airport (HHH / KHXD), with domestic flights from Hilton Head Island. Another major airport is Savannah/Hilton Head International Airport (SAV / KSAV), with domestic flights from Savannah, GA. 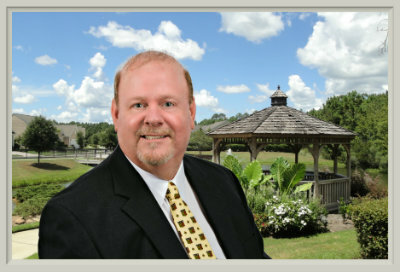 Whether you are looking to buy a home in Bluffton SC or sell your existing home, our mission is to provide exceptional customer service while assisting you throughout the transaction. Our main areas of focus within Beaufort County include: Bluffton, Bluffton/Off Plantation, Sun City Hilton Head/Okatie, Hilton Head Island, Callawassie Island, Spring Island and Beaufort, South Carolina. 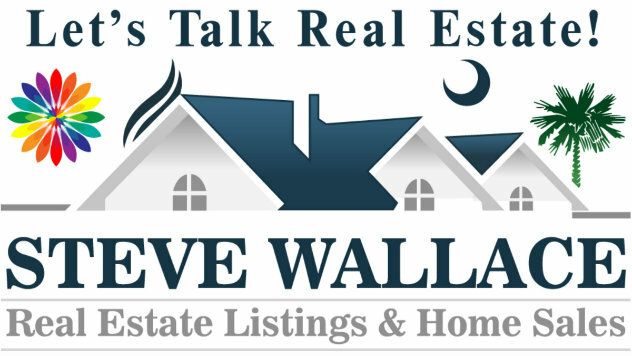 We can also assist you with real estate beyond South Carolina in other states and internationally. Please call us today or fill out the online contact form, and let us know how we can best serve your Bluffton/Off Plantation SC real estate needs. We look forward to speaking with you!